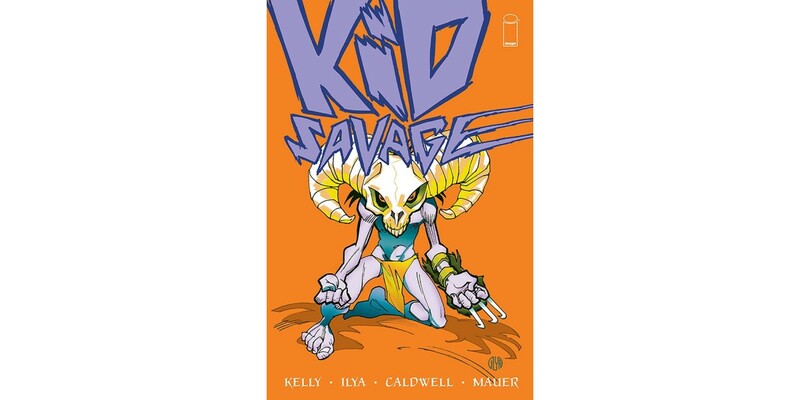 Man of Action Entertainment’s beloved I KILL GIANTS co-creator and writer Joe Kelly teams up with lauded British cartoonist Ilya for an all-new all-ages series packed with thrills in KID SAVAGE, VOL. 1 set to hit stores from Image Comics this April. An excerpt from the forthcoming KID SAVAGE will be a featured Free Comic Book Day title from Image Comics this year. When the pioneering “First Family in Space” takes a catastrophic wrong turn on their maiden voyage, they crash on a dangerous alien planet. Their 21st century know-how is useless against the harsh environment, and survival seems unlikely, until they meet a strange ally...a mysterious orphan boy who’s short on temper but big on survival skills. KID SAVAGE, VOL. 1 (ISBN: 978-1-63215-938-0, Diamond Code FEB170694) will hit comics retailers on Wednesday, April 12th and bookstores on Tuesday, May 2nd. The final order cutoff deadline for comics retailers is Monday, March 13th. It is available for pre-order now on Amazon, Barnes & Noble, IndieBound, and Indigo.